These tasty dried grapes offer boatloads of vitamins and nutrients,and arecholesterol-free, fat-free and low in sodium. They also contain solid amounts of fiber, protein, potassium, iron, calcium, antioxidants and B vitamins. 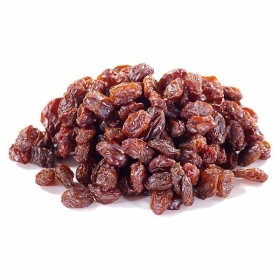 Raisins are also 70 percent pure fructose, a natural sugar that can provide an energy burst before physical activity. They’re great snacks for athletes, especially kids who are taking part in after-school sports.